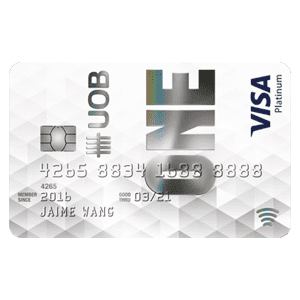 One of the must have credit card if you are accumulating miles (Online spending = 1.4 miles per dollar, awarded in blocks of $5). Anything lesser than $5 use Citi Premier. 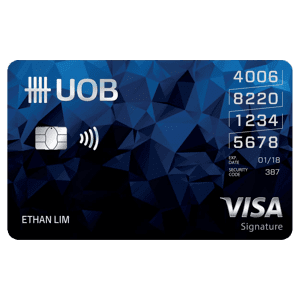 The best part about UOB cards is that the rewards/points are in the same pool unlike Citi. 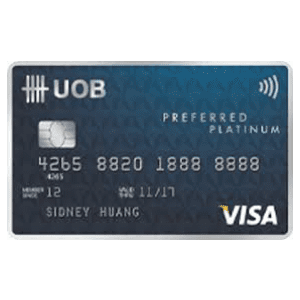 If you have multiple UOB cards, use this instead of DBS Altitude for general spending. Oh. 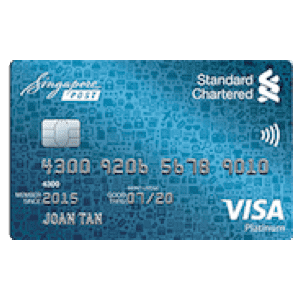 I use this card as my "Ez-link" card to accumulate miles too. No topping up in advance, use as you pay. 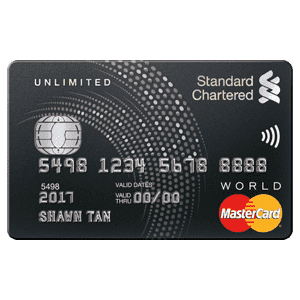 lol.
. UOB PRVI Miles World Mastercard and PRVI Miles Visa Cardmembers will also not earn UNI$ for bill payment establishments registered under the MCC of 6300 (Insurance Underwriting, Premiums) and 6399 (Insurance – Default), bill payment with transaction descriptions “AXS Payment” and payment of funds to prepaid accounts with transaction descriptions "EZ Link", "FlashPay ATU", "MB * MONEYBOOKERS.COM", "OANDA ASIA PAC", "PAYPAL * BIZCONSULTA", "PAYPAL * OANDAASIAPA", "PAYPAL * CAPITALROYA", "Saxo Cap Mkts Pts Ltd", "SKR*SKRILL.COM", "TRANSIT LINK" and "WWW.IGMARKETS.COM.SG". Click here for details. With effect from 1 February 2018, UNI$ will not be awarded for payments made to charitable/religious organisations, government institutions and services. 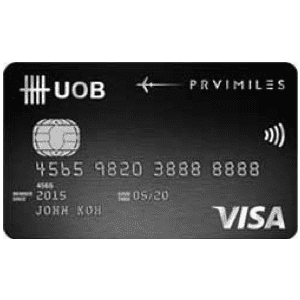 With effect from 1 November 2018, (1) UNI$ will not be awarded for all AXS transactions for UOB PRVI Miles Cards; and (2) there will be revisions to the spend exclusion criteria for UNI$ awarding & 20,000 loyalty miles for UOB PRVI Miles American Express® Cards. 1.4 miles per dollar. When theres no paywave, and it doesnt fit under online shopping. This is the card to use for miles junkie. I use it for day to day spending when paywave is not available. Oh ya dont forget to use this for plane tickets for complentary rides to airport in mercs and complentary insurance. High general spend local earn rate 1.4mpd (good) High FCY fees 3.25% (bad) Bad signup bonuses currently. 10000miles for first 2k signups. I find it difficult to get the miles. Especially even for their advertised promotions. I had on two ocassions made airline bookings from the UOB advertisements (emails) and clicked through with UOB logo website and yet the extra miles / points were not captured. Despite having screenshots of my transactions, the customer service checked with the relevant departments and said I didn’t make valid transactions so no extra miles. I’d rather use other cash back cards that guarantee value instead of this dingdong with customer service. Left a sour taste because I’ve definitely done all the steps required and didn’t get rewarded for it. I would use this card for immediate cash discount promotions eg. They had a promotion with agoda and % discount for UOB privi cards which was a rather good deal. But I won’t use it to collect miles. Annual waiver applicable upon $50,000 spent on card or more. For full T&Cs, please visit here. For more info, you can check out UOB PRVI Card page.